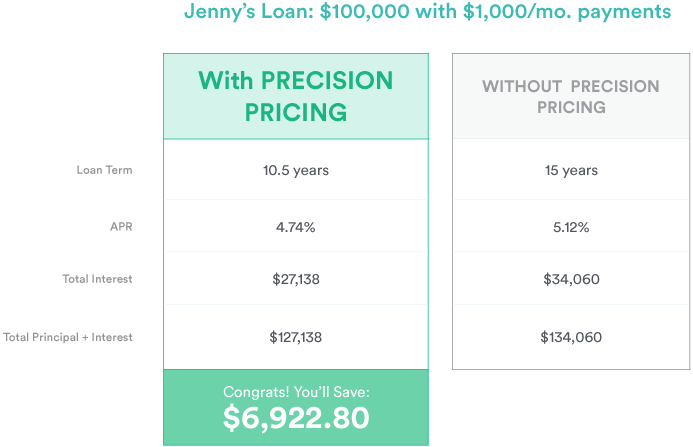 Precision Pricing: Smarter loans, more savings. Unlike other lenders, Earnest customizes your rate based on your preferred monthly payment. Read below to see why more personalized rates mean extra savings. When we designed a better loan, we applied the science of curves. This is how a traditional bank assigns rates. Any payment amount that falls between two terms is automatically bumped up to the longer term/higher rate. This is how Earnest assigns rates. Rather than forcing you into a few term lengths, we can offer terms at 1-3 month intervals between 5-20 years — up to 180 different options, to be exact. Earnest was founded to fix an outdated approach to lending. We knew we could use technology to bring more transparency—and savings—to indebted grads. 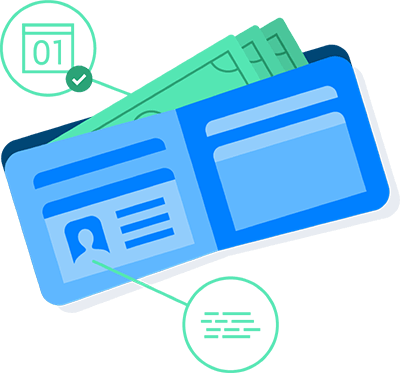 Through the hard work of dozens of data scientists, engineers, and designers, we built a modern solution from the ground up. A solution that finds the sweet spot between what you can afford and what you should be paying in interest, never a single basis point more. A solution that puts the power in the hands of the client, not the bank. This unprecedented flexibility is the foundation of what makes Earnest different—and we call it Precision Pricing. Say Jenny has a $100,000 loan, and she can afford to pay $1000/month. But with Earnest, a $1000 monthly payment corresponds to an ‘in-between term’ of 10.5 years that’s totally unavailable at Traditional Bank. This shorter term saves Jenny money since it has a lower rate and there’s less time for interest to accrue. Win-win! The slider below demonstrates how different monthly payments affect your rate and term. And remember—a shorter term can save just as much money as a lower APR.